Autisme Montréal has decided to offer shadowing and babysitting services in order to give respite to parents while allowing children living with autism or pervasive developmental disorders to develop their skills, go on outings, have fun, and make friends. Clients must live in the Greater Montreal area and be members of Autisme Montréal ($30/year). Autisme Montréal is recruiting shadows to refer them to families who are in need of a shadow or babysitter. This reference process allows you to save time and benefit from quality services. Several types of requests can be addressed to us, depending on your needs: babysitting, help with homeworks, stimulation, socialization, integration in a regular setting, ABA, etc. However, the shadows referred must stay within their field of competence and offer you a support directly related to your child. Our shadows have been selected with care after a rigorous interview process and a verification of their judicial record at the court-house. They all show a particular interest for this type of clientele and many of them have relevant experience and/or studies. Each of our shadows receives a basic training given by Autisme Montréal (clientele, approach, interventions, etc.). Also, they can take part in workshops offered by Autisme Montréal to work on their skills. Parents have the right to ask for the resume of the shadow we are referring (if requested with the person responsible for the file or directly with the shadow). Oshadows are given a card demonstrating their affiliation with Autisme Montréal and allowing their identification with families and others, if need be. Note : Our shadows are not professionals with a degree and they do not necessarily know all the different approaches used with regards to autism. How to make a shadowing request? To register, the family must contact our Community Worker, Marie-Claude Barbier, at 514-524-6114, extension 3162. You have to specify your needs in the request (days, requested hours, type of desired services). The parents will have to give some information about their child and the family when they register. We will then send you, either by mail or email, a document entitled “Child’s profile” that must be completed and returned to us as soon as possible so that we can finalize your registration and give the shadow relevant information regarding your child. We strongly suggest you make a request at least two weeks or more in advance to help us find someone that fits your needs. Also, we ask parents to notify us if they wish to cancel their request, either because they found someone else or the request is not necessary anymore. Please note that Autisme Montréal is solely an intermediary between parents and shadows. We contact the shadows to check on their availability and interest and they, in turn, phone the families. We suggest the families contact us after the first contract to give us their comments. a minimum of three hours is mandatory (even if you need the shadow for less than that period of time, you still have to pay for three hours) . Outing expenses for both the shadow and the child must also be paid by the families. Should they be unsatisfied with the service provided, the parents can make a complaint to the person in charge. The parents must also to notify us if the shadow-child pairing isn’t working out. There is no need to be uncomfortable in this situation, since it does not necessarily mean that the shadow is incompetent, but rather that the paring if not optimal. 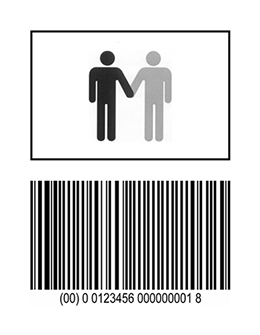 The Tourist and Leisure Companion Sticker gives free access to a person shadowing someone 12 years old and over living with a significant and permanent disability on outings such as La Ronde, the Biodôme, the Just for Laughs Museum, etc..
You can complete the application form and find out which places recognize the Companion Sticker via Internet (at the following address: https://www.vatl.org/ ) or contact Guy Lemieux, AlterGo Coordinator, at 514-933-2739. He will then forward you a copy by mail. If your child has received a diagnosis of autism or pervasive developmental disorder, if he is more than 12 years old and if you are living on the Island of Montreal (excluding the West Island), your request will be processed by Autisme Montréal. Consequently, should you wish to receive a hard copy, please send your request by mail to Autisme Montréal. 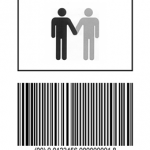 Once the Companion Sticker is issued, Autisme Montréal will ask you to please pick it up at its offices. To make your time on the bus and/or the metro easier with your child living with PDD, as well as reduce your transportation costs, you could get the STM Personal Aide Transit Pass for free. The STM Personal Aide Transit Pass gives free access to the person who accompanies your child in the transit system. Get in touch with your CSSS or CRDI to get the form, since these institutions will have to approve your demand and forward it to the STM. For more information, please contact the Société de transport de Montréal (STM) at 514-280-8211 or go to http://www.stm.info/fr/transport-adapte/admission. Note: Please note that customers of the Paratransit service do not have to fill out this application, their transit pass being accepted as a Personal Aide Transit Pass on the regular network. The reverse is however not true. Call as soon as possible to make a request, namely between 15 days and one month in advance, which is considered reasonable. Inform Autisme Montréal about any changes in your contact information and make sure that everything is up-to-date. Contact us should you wish to cancel your shadowing request, either because you have already found someone or do not need this service anymore. Contact the person responsible for the service if you experience difficulties with the shadow. Pay the shadow according to the preliminary agreement and the criteria established by the person in charge of the file ( minimum salary and three consecutive hours). If possible, please do not cancel your request less than 24 hours in advance (except in case of an emergency) and to do so, please contact the shadow directly or call us.